BREAKING NEWS: The remains of Ebou Jobe and Alhagie Mamut Ceesay found in the forests of Alakunda. The remains of Ebou Jobe and Alhagie Mamut Ceesay have been found in the forest of Alakunda, and are to to be exhumed without delay. Fresh and reliable reports reaching Gambiano.net has confirm that the secret grave covering the remains of Ebou Jobe and Alhagie Mamut Ceesay in the forest of Alakunda, has been identified, marked and currently secured by a platoon from the Yundum Military Barracks. This was possible thanks to the determination of the OC Brikama PIU and his men, supported by Colonel Sait Njie, the Commander of Yundum Military Barracks. 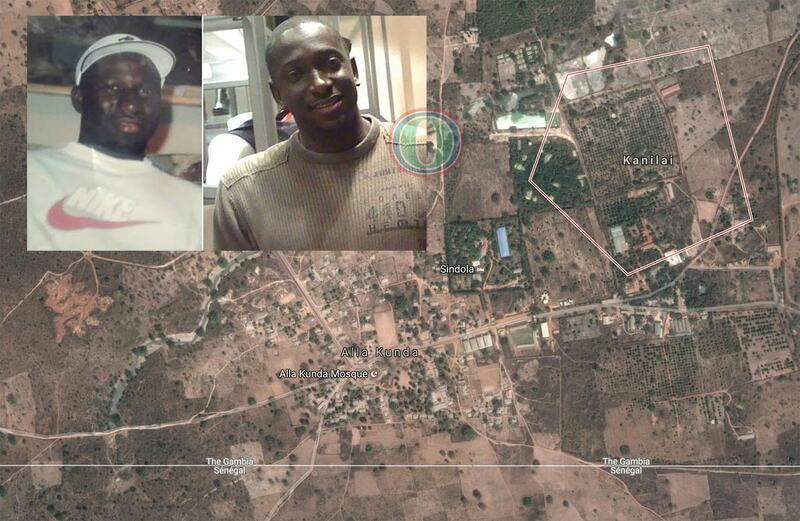 On Tuesday, a first group of Gambian soldiers led by one Captain Jabang renounced from getting into Kanilai. Captain Jabang is said to have been recently reinstated in the army. With his men, they hanged at just few meters, after the Kanfenda junction, arguing that Kanilai was full of Casamance rebels. That proved not be an accurate information as Yahya Jammeh’s palace in Kanilai was instead filled with dozens of Green youths under the command of one ex Major Sowe, a Jammeh loyal soldier who resigned from The Gambia Army, shortly after the Kanilai born Dictator ran away from The Gambia. One striking fact, that drew the attention of eyewitnesses, was the red pieces of clothes tied on the guns of some men led by Captain Jabang. In our quest to understand the meaning of those red signs, we’ve been told that it’s a confusing distinctive characteristic which motives will be surely clarified by Captain Jabang in his report to his superiors. While the situation was at stand still in the afternoon, a squad of the Police Intervention Unit led by the PIU OC of Brikama was later seen passing the military personnel stuck after the Kafenda junction. Backed by the PIU personnel Team 2 citizens of Kanilai, the Brikama police intervention team made it to the gate of Jammeh’s palace. That was precisely when the brawl ensued with pro Yahya Jammeh Ex Major Sowe’s Green boys, and the subsequent appearance of some naked women from Kanilai to curse the Police personnel. On Wednesday, Colonel Sait Njie the Commander of Yundum barracks led the military team that did not make it to Kanilai, 24 hours before. He joined the PIU troops to force their way into Jammeh’s palace. After strictly cautioning their men to act as Republican police officers and military men these two brave Commanders led their respective platoons to Alakunda where the arrested Jungler took them to the location of the secret graves where Alhagie Mamut Ceesay and Ebou Jobe were buried. The place was consequently identified and marked while Col Njie posted Yundum soldiers around to guard the place pending the scientific work of the forensic team.